Printed Concrete Stains Ireland can be used to highlight special features such as borders, circles etc. These are also suitable for staining large areas of all types of concrete floors. This gives an authentic look to your Pattern Imprinted Concrete resulting in a design unique to yourself. These Stains come in a variety of colours and sizes. They are easy to apply using a small brush or sponge. 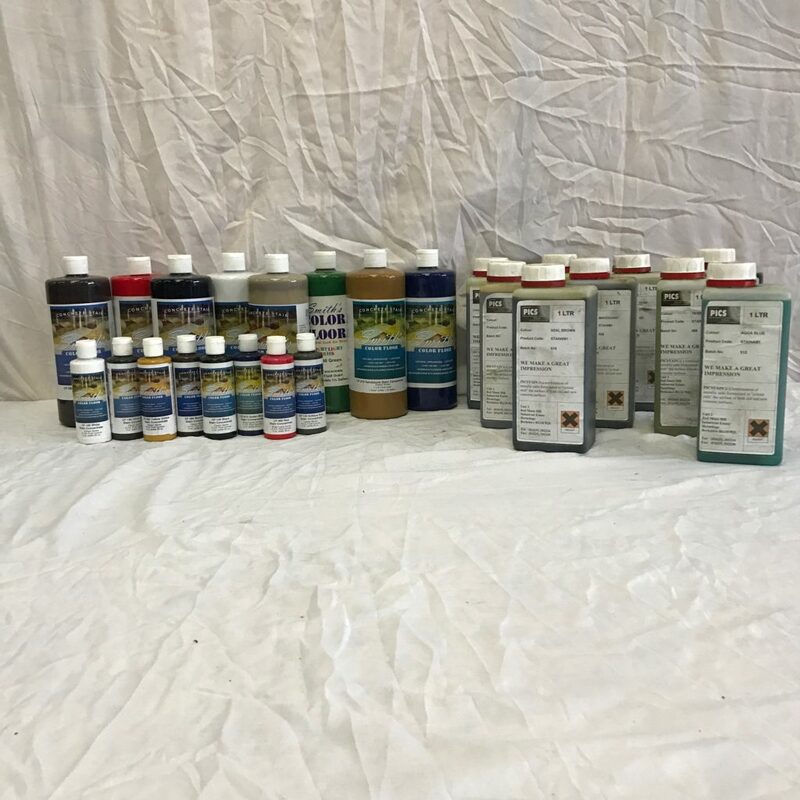 Allcrete sell two types of Stain – Water-based and Acid-based. Available in 940ml and 120ml bottles. These are extremely hardwearing which can be diluted to various strengths to give an unique finish. Suitable for application to interior and exterior concrete, brick, plaster or natural stone surfaces in Ireland. 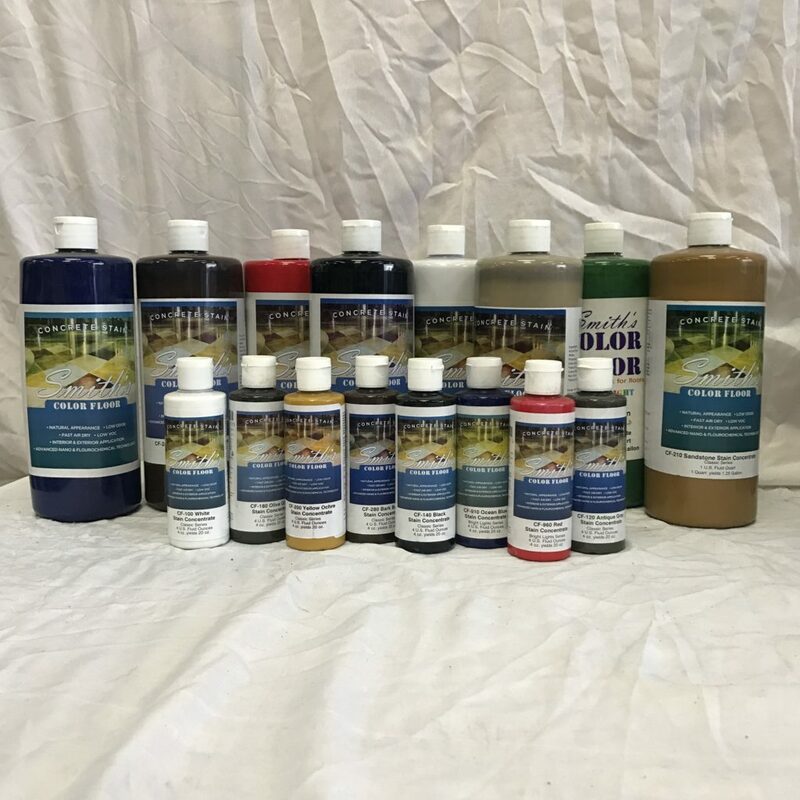 Formulated as a user-friendly alternative to hazardous solvent and acid based stains. Surface can be sealed as normal after these stains have thoroughly dried. A wide range of colours are available. 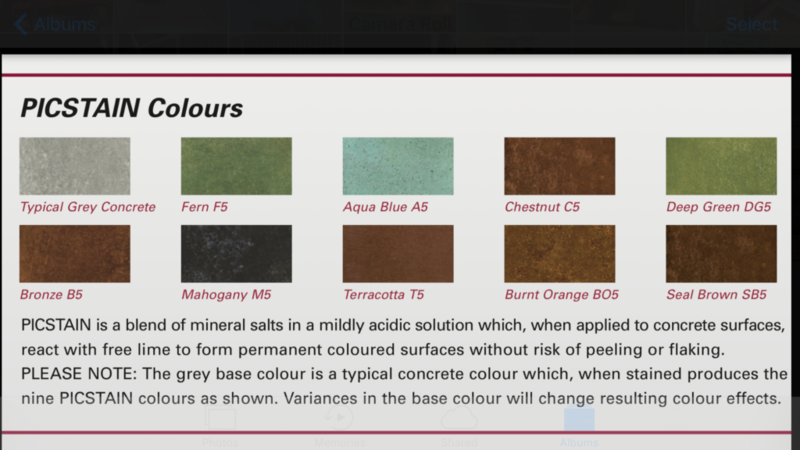 Please see our Water-based Stains Colourchart below. 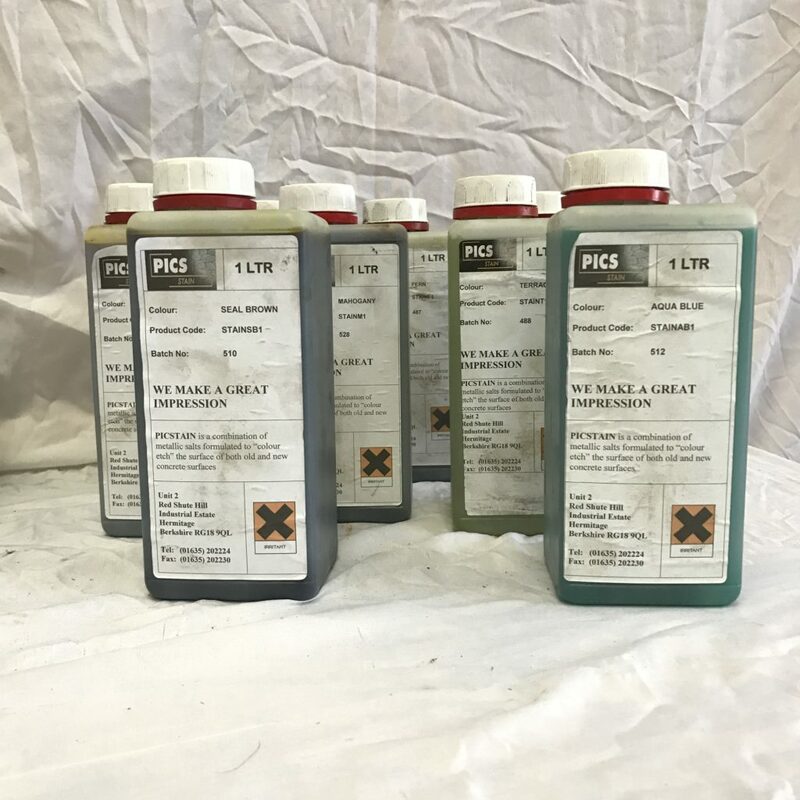 These come in 1ltr and 5ltr bottles and are an acid based stain which reacts with the cured concrete to produce a coloured concrete surface. This has an earthy variegated and natural appearance. Unlike a paint, Picstain will not chip, blister or peel. It produces a translucent effect with a broad drift in colour, producing a unique floor with character. Sealer can be applied as normal to the final coat when dry. These stains are available in 10 different colours. 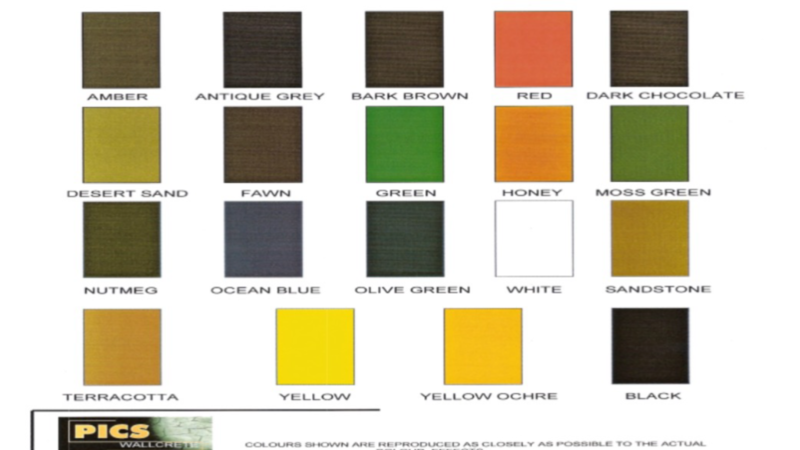 Please see our PICSTAIN Colourchart below.